Obituary for William "Bill" Conrad Soderna | Bowerman Funeral Home, Inc.
William Conrad Soderna, age 91, of Deerton, Michigan and formerly of Rockford, Illinois, died at his home under the care of his family and Lake Superior Hospice on Saturday morning, November 3, 2018. He was born on January 31, 1927 in Crystal Falls, Michigan to the late Einar “Matt” and Mary (Risku) Soderena. Bill was educated in the Rockford Public Schools and graduated from East High School in 1945. He served in the U.S. Marine Corps, 5th Division, 27th Marines and was involved in the Occupation of Japan. 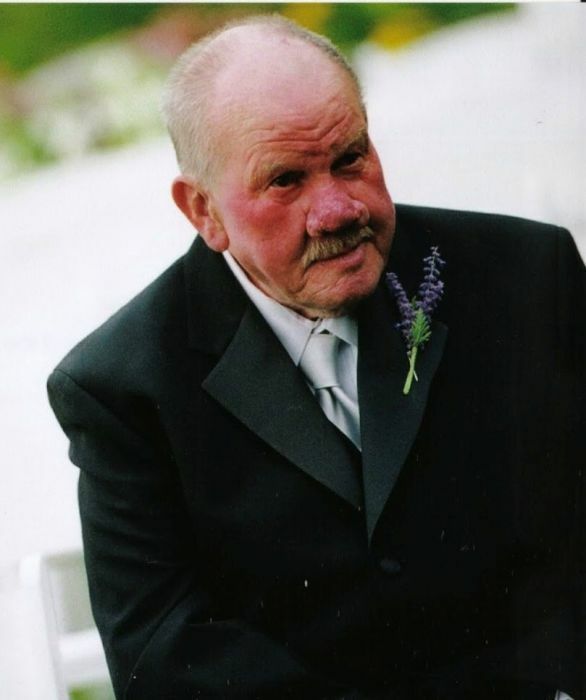 Bill graduated from The Plastics Institute of America in Cleveland, Ohio and was employed for thirty-six years as a Die Sinker at Rockford Drop Forge Company and a Die Room Supervisor for nine years at Dasco Pro Inc. in Rockford. Bill married Mariana Melin on June 23, 1956 in Rockford and together raised their five children. They were former members of the Emmanuel Lutheran Church in Rockford and Bill was a former member of the Loyal Order of the Moose in Belvidere, IL. In 1996, they retired to Deerton. Mariana preceded him in death on July 13, 2014. Bill is survived by his children – James (Alanna) of Brooksville, KY, Thomas of Marquette, MI, Rebecca of Deerton, MI, David (Stacie) of Chicago, IL, and Andrew (Julie) of Arlington Heights, IL; granddaughters – Bridget and Millicent Soderna of Chicago, IL, Phoebe Soderna of Arlington Heights, IL, and Mary, Grace, and Susan Soderna of Brooksville, KY; grandsons – Ethan Soderna of Chicago, IL, and Charlie and Harry Soderna of Arlington Heights, IL. He was preceded in death by his parents Matt and Mary, wife Mariana, a grandson James Daniel Soderna and sisters Dorothy (Ted) Johnson and Marjorie Ann Soderena.